We were so excited. We could visit Peleliu awesome and moreover we will fly with a Cessna. A W E S O M E ! Thank you again J & C.
This time I will just let the pictures tell the awesome flights to Peleliu and the flight back we flew via neighbour island (monkey island / Ngaur Island). Landed on Peleliu we waited for Mr. Relaxed, who brought us our bikes for our ride on Peleliu. First stops were the near tank ruins, the bloody nose ridge and the memorial (Shinto Shrine). The top and the view was worth the climb! On top we had a toast on all fallen soldier and also on our spectacular trip in the pacific. Near to that there was a small walk way through the forest which was fortunately cleared from land mines only rule was to walk inside the marked white area. Outside the white marks you were in the red area the danger zone which was not cleared by people therefore it would have been lethal to cross the line. On that walk way you still could find some equipment from the soldiers. Ammunition shells, cans etc. We headed to the north to watch what is left on the island. Arrived at the north we had a chat with some locals. They invited us for Nga-Nga. In South-East Asia, the leaf is daubed with lime paste and topped with thin slices of an areca-nut; then the leaf is folded, like wrapping a present, to the desired shape and size. Finally, the wad is placed between the teeth and the cheek and pressed with the tongue to allow sucking and chewing. Sometimes it is held in the mouth for hours; others sleep with it. The interaction of the ingredients during chewing produces a red-coloured saliva. Most of the betel juice is spat out as red spittle. Funny experience and nice cultural tradition. Back on the bike we organized some snacks and drinks at the local market. Also we wanted to visit Mr. Relaxed but we could not find him unfortunately but anyway we ordered a beer at the bar with local bartenders in it. It was already afternoon and we had to head slowly back to the airfield. So back on the bike we hit the pedals until we reached the museum. Maybe some of you have seen the HBO series “The Pacific” there are two episodes about the war on Peleliu and the capturing of the airfield, really interesting after our holidays we watched the described episodes!!! 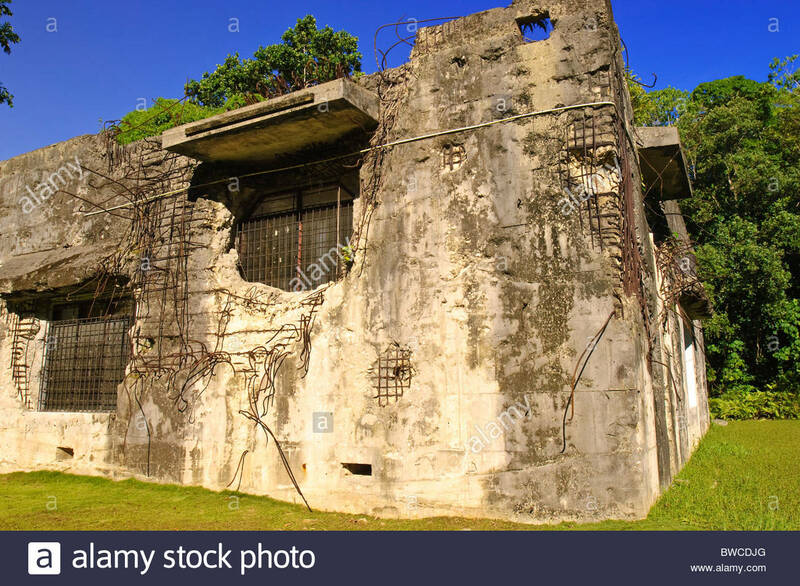 Also in the movie you could see the bunker, which is now as shown above the museum of Peleliu. Nice idea. Without any navigation equipment and or maps we drove to the south. Unfortunately we took a detour and landed on the Beach orange tree. Where we meet the friends from our diving company (fish n fins). We had a nice talk with them but also had to hurry a little bit. Because we really wanted to jump in the water and snorkelling around. We did not lose any words and grab our snorkelling gear and jumped in. It was time to grab our bike and find the airfield for our pick up. We were kind in a hurry because we had no real clue where we were and where the airfield was. So we put the 5th gear in and drove like maniacs until we found our lovely airfield. Some minutes later we could already hear the noises of the Cessna. It was so exciting!!! We were really lucky because our Pilot picked us up first so we had to fly first to the other island which was more in the south. So for us we had more air time. On that island our pilot offered us fresh bananas, mhhhh were they delicious. Later that day we ate dinner at a really good restaurant where the price quality ratio was spot on! It was called Anthias Cafe and we ate there several times. Also the breakfast next morning there was great.